Hello! Want to go on a trip with me? Not a trip where I fall… I do that enough on my own. In 4th grade I had a big assignment on “My Favorite Food”. The entire class had to do a report, poster board and presentation in front of the class. The presentations took so long I remember we watched them over several days. I knew pretty quickly what food I’d choose. I wanted something I really liked to eat, that could be made different ways and would make for an interesting presentation. While other kids in my class chose ice cream or their mom’s mac ‘n cheese… I chose… potatoes. I didn’t care that they’re also a great source of carbohydrates to fuel running – this was long before I ever thought about running! But I think it’s a fun lil fact since I still love them today. And now I feel even better about eating them because potatoes are a great source of carbohydrates, vitamin C and iron. Plus – they’re an unprocessed way to fuel up that works for people who are gluten free too! Boom. 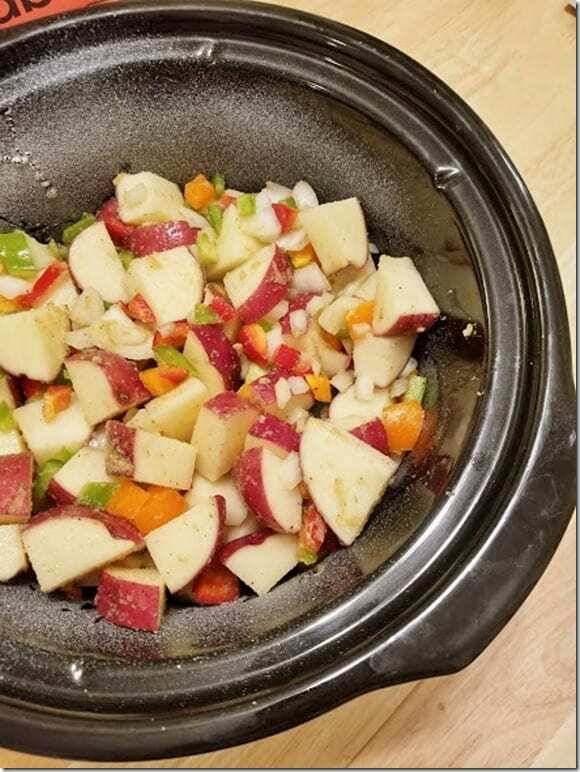 Since I spend most of my time RUNNING or EATING I don’t want to use up that time cooking so I threw together a recipe using my Crockpot. 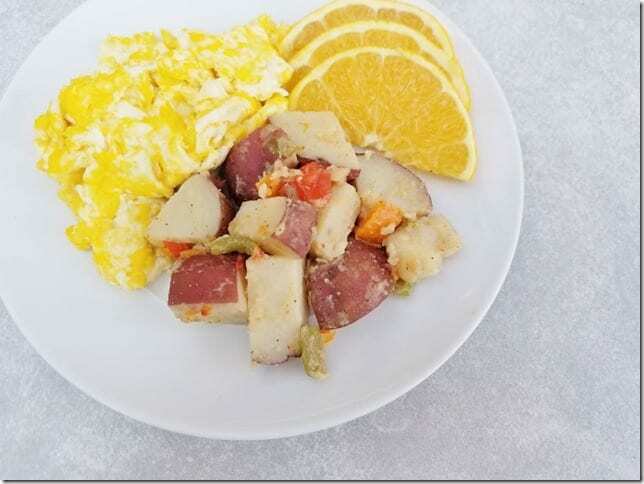 This is a super easy recipe for breakfast potatoes but you can really enjoy them anytime! Try it out this week during your meal prep day or before you head out for a long run. 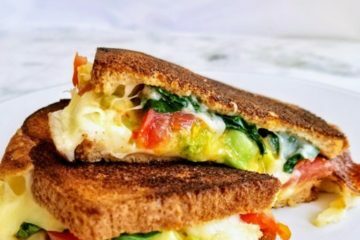 Then, pair it with a few eggs for protein and you have a simple and delicious re-fuel. This super easy potatoes recipe is created in partnership with Potatoes USA. 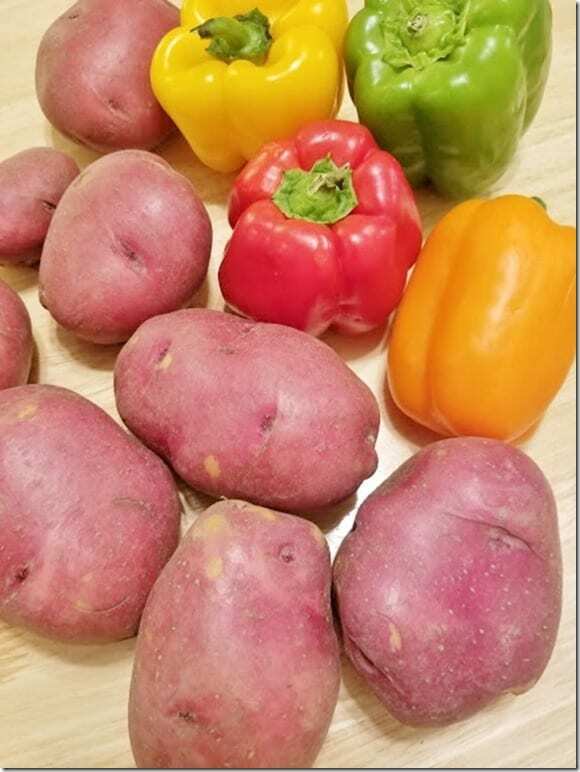 Learn about Potatoes and Athletic Performance here! 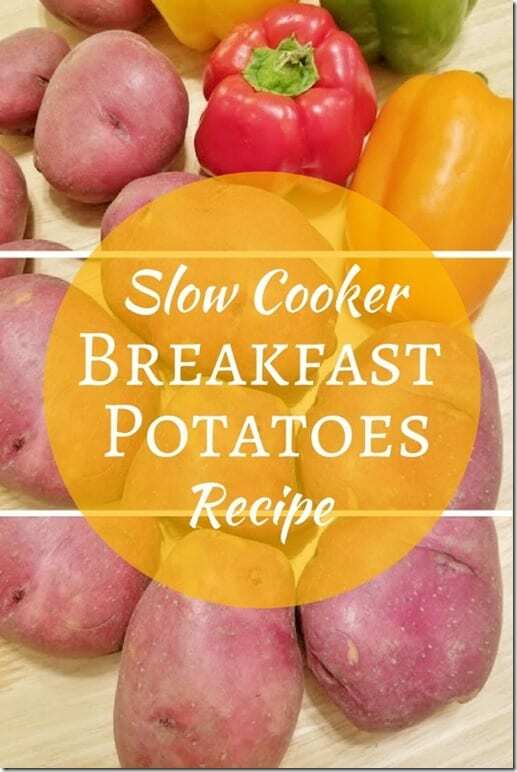 Directions: Wash, chop potatoes into 1 – 2 inch pieces. Chop bell peppers and onions. Place them in a big bowl and toss with 2 Tb. olive oil and season to taste. I added a lot of garlic and Italian seasoning because I love it! Spray slow cooker with non-stick spray and pour potato mixture in. Cook on high for 2 to 3 hours, stirring occasionally for even cooking (I stirred them every 30 minutes). Cooking time depends on how big you cut the potatoes. Check that they’re done before turning off slow cooker. Add salt and pepper as needed and top with parsley. Enjoy! 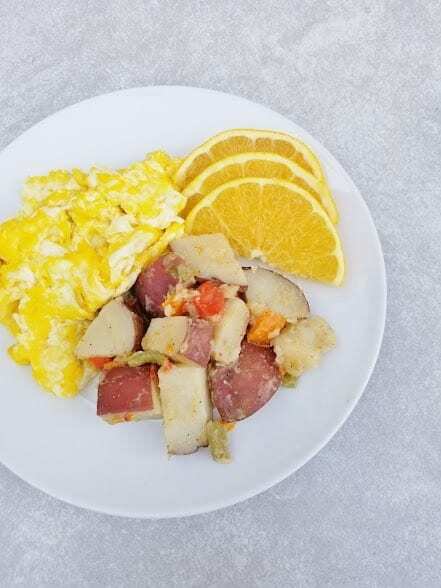 This potato dish can be paired with eggs for an easy post-run breakfast. The combination of carbs and protein are a great way to refuel. Most sports dieticians recommend you eat within 30 minutes of a workout. 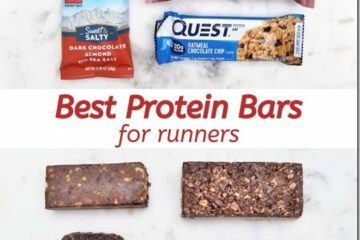 So you can make these the day before or (if it works with your run schedule) first thing in the morning before you head out! Question: Do you crave a different from usual breakfast after a long run? RER: I do! I usually want something savory and salty. Note: This post is written in partnership with Potatoes USA. All opinions are my own and in no way reflect my sponsors. Wow that looks yummy. Since my diet allows sweet potatoes instead of white – have you ever tried that? 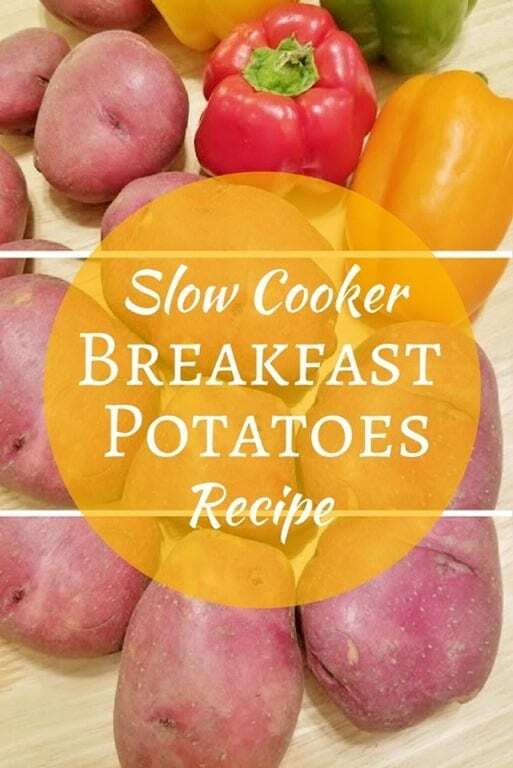 Dang, makes me wish I had a slow cooker. The recipe sounds so convenient – and delicious.